You must create Items in our database before you can send inventory to our eCommerce fulfillment centers. (Refer to 3. 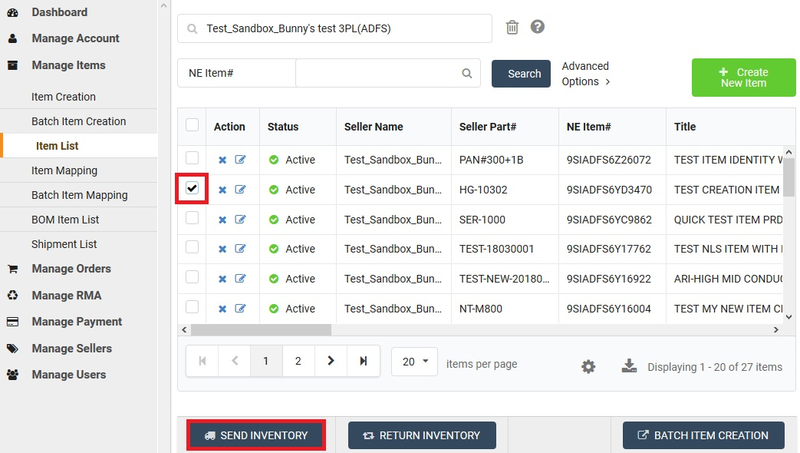 How to create Items section) Find and select an item from Item List, and click Send Inventory button. User can click Change Address to update shipment origin. 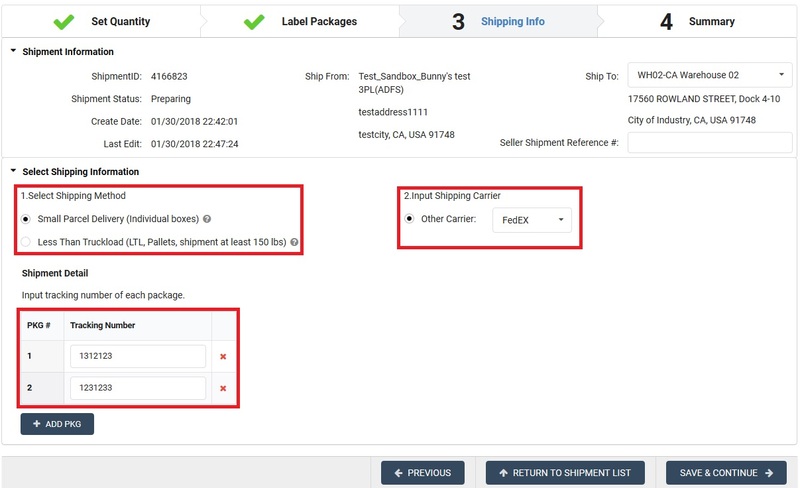 The select options must be recorded at Manage Account > Account Setting > Inventory Shipment Address. 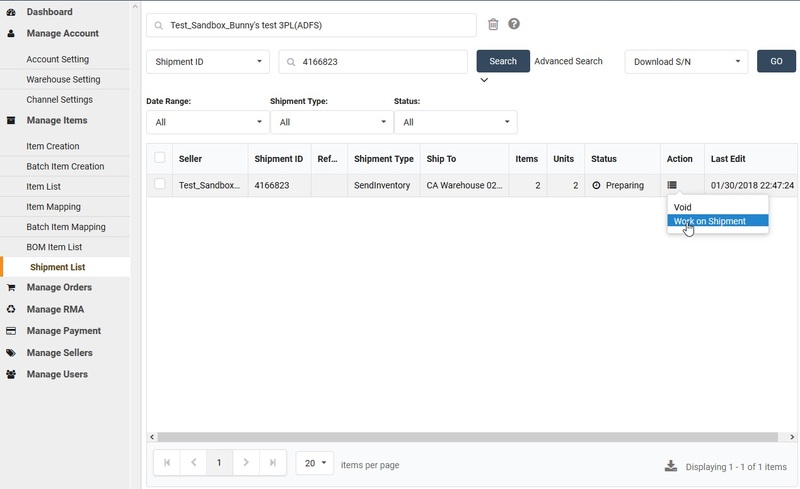 Inventory shipment destination can be changed by from Ship To (drop down menu). The select options must enabled at Manage Account > Warehouse Setting (refer to 2.How to setup and manage account). User input piece count of the item of the shipment at Set Qty. User can continue add more items until all items added in the shipment. 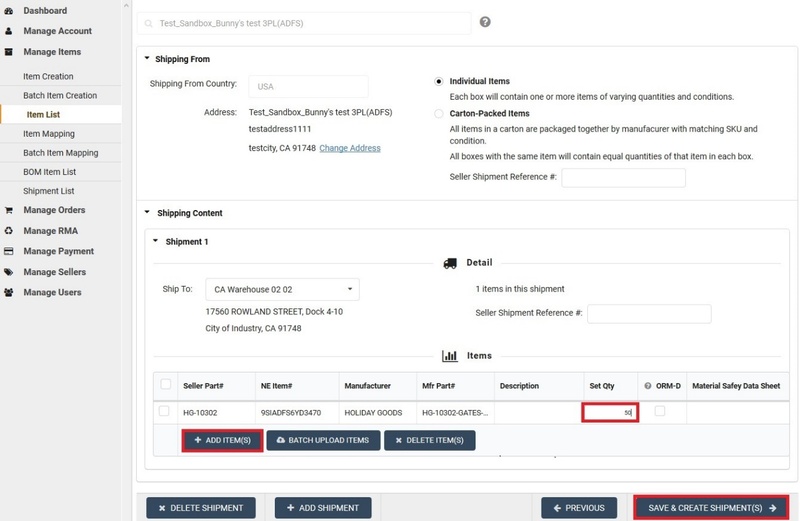 Then click Save & Create Shipments button. User can review created shipments at Manage Items > Shipment List. You can revise shipment content by remove items or update piece count of each item. 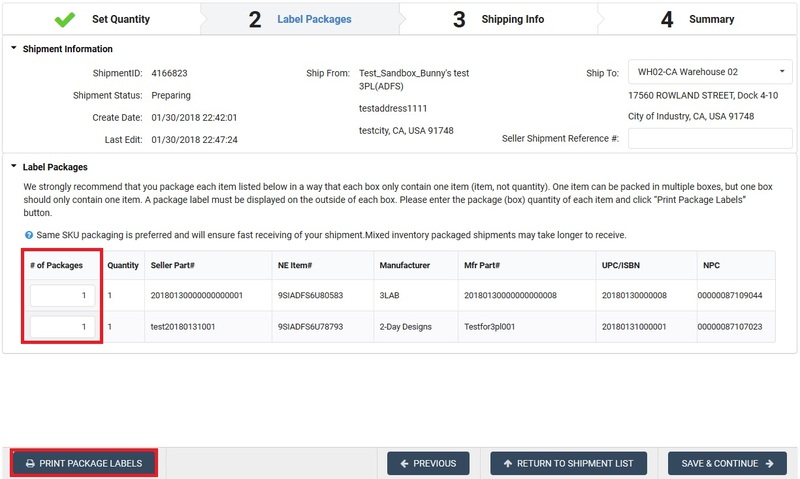 User can print item labels (with barcoded NPC assigned) for each piece of product at step 1, or carton label for each master carton at Step 2 to facilitate inventory receiving. 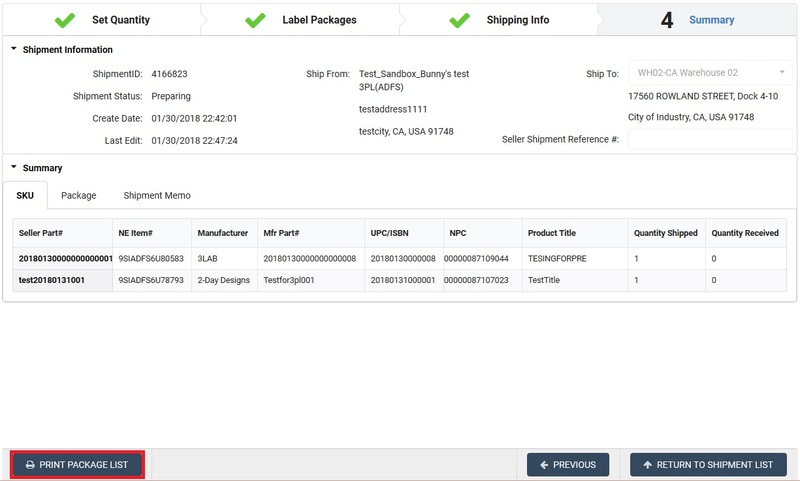 User can also record parcel tracking#/LTL PRO# at step 3, and print packing slip at Step 4 to assist Newegg locate certain shipments.